Why do you live where you live? Why do you love or hate the job you have? What motivates you to get up in the morning? What has led you to this point in your life? What are you good at? What are you terrible at? What type of personality do you have? These are all questions that many women can’t answer. They don’t have the self-awareness to know who they are. They don’t know why they’ve made the choices they’ve made or why they struggle with certain things. In fact, many people who lack self-awareness find that they aren’t happy but they don’t know why. It’s this generalized anxiety or discomfort that they cannot name. If we find ourselves in this situation, sometimes we blame others or we blame circumstances. The truth is, that we probably do have some degree of self-awareness and like many skills, it’s one that we can improve. 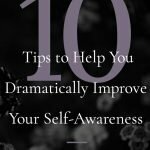 When you improve your self-awareness, great things can happen for you! 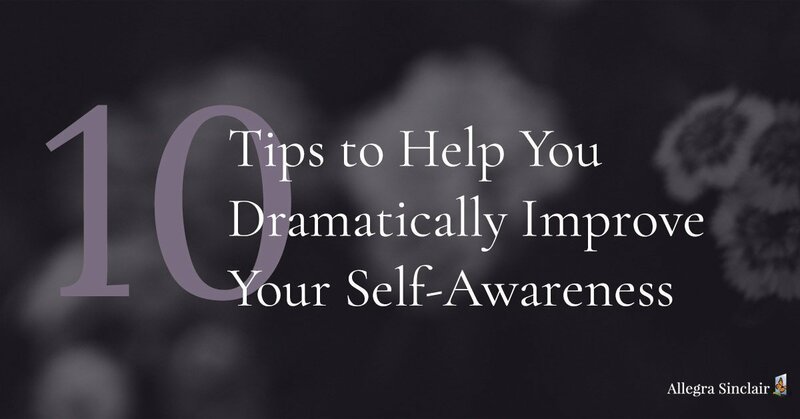 First, we’ll take a look at what self-awareness is and how it can change your life. Then we can look at whether or not you can improve your self-awareness. Self-awareness is something that begins at a very early age. When you’re crawling around your home as a child, you begin to understand that you are separate from other people. You are your own person. You recognize yourself in the mirror and begin to realize that your actions have consequences. This is the beginning of self-awareness. Self-awareness doesn’t end with recognizing yourself in the mirror. You improve your self-awareness with awareness of your thoughts, motivations, strengths, weaknesses, communication style, personality traits and so on. However, that definition isn’t as complete as it could be. Self-awareness is the ability to have a clear perception of your personality, strengths, weaknesses, thoughts, beliefs, emotions, and motivations. It helps you understand your values and opinions as well as how people perceive you. When you have good self-awareness, you can make decisions and take actions that are best for you. Your decisions aren’t formed by others but instead come from a deep understanding of who you are and what you want. A strong sense of self-awareness is something that impacts your life on every level. People with high self-awareness are able to push their limits, take responsibility for their decisions and actions, and enjoy a life that is designed by them. 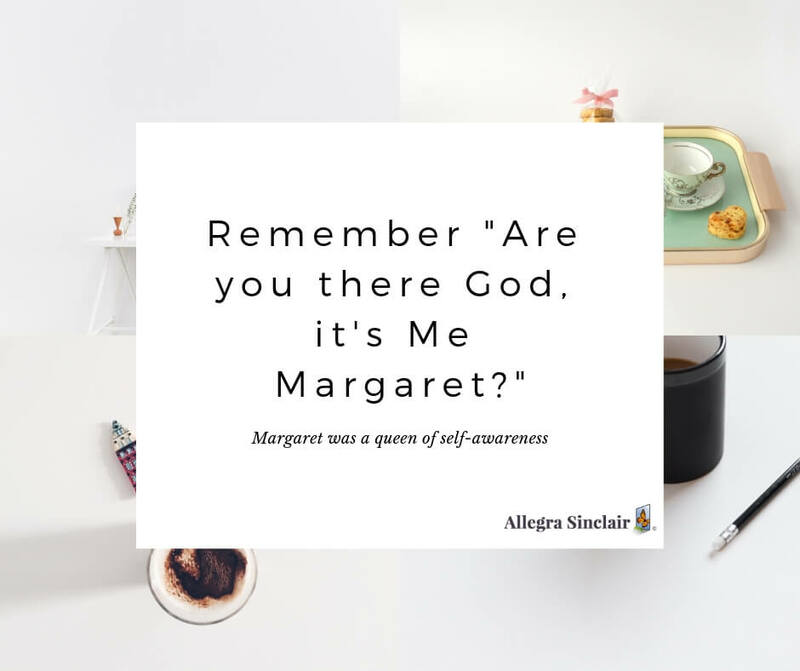 How Does Self-Awareness Change Your Life? To navigate your life, you need to know where you are right now and where you want to go. You need to know your strengths, weaknesses and motivations. It’s important to understand what you believe and value. 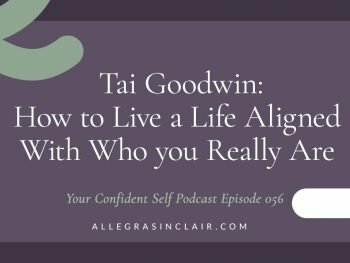 When you have self-awareness and understand who you are, you can decide who you want to be with great confidence. Here’s a common scenario: people commonly follow a path set before them by someone else. The path is chosen by their parents, by a mentor or idol, or it’s followed simply because it is a common path. A family of firemen might make a child feel like they should also grow up to be a firefighter. Or a parent may decide that their child is going to be a doctor or a lawyer and the child follows that path into adulthood. It happens frequently and often happens because the person doesn’t know who they really are. They don’t have any self-awareness, or their self-awareness needs strengthening. Conversely, the same child of firefighters who grows up with strong self-awareness can decide for themselves if that path is right for them and why it may or may not fit their personality. They can decide what motivates them in life, what type of working environment they’d thrive in, and how they measure success. When you’re self-aware you will have more fulfilling relationships as well. You know what type of people you prefer to be around. You know who complements your strengths and weaknesses and you’re honest enough with yourself that you’re able to have disagreements that don’t result in blame and fights. Your communication improves when your self-awareness improves. It’s easier to find happiness with who you are when you know who you are and you follow your inner voice. It’s also easier to trust that inner voice and intuition when self-awareness is a practice and something that you’re accustomed to. Often, we tune out our inner voice and instead listen to what others say. It’s just one of the skills you can learn as you strive to improve your self-awareness. Can You Improve Your Self-Awareness? The short answer to the question of whether you can improve self-awareness is, ‘yes’. It’s a skill and just like any other skill, you can improve it. However, like all skills, if you want to improve that skill then you have to put in intentional effort. Skills never increase accidentally. You have to do the work, put in the time, and work to increase your self-awareness. And unlike some other skills, it can be difficult to set measurable goals to increase self-awareness. However, you can create a plan based on the tips provided below. There are many aspects of self-awareness. You can improve your awareness of your professional self. You can improve self-awareness as it relates to your relationships. You can explore your awareness about your beliefs, your values, your strengths and more. The good news, and the bad news depending on your personality, is that self-awareness is a lifelong pursuit. It can always be improved and just when you think you know who you are, you’ll surprise yourself. There’s no end goal for becoming more self-aware. There will not be a day when you can say to yourself, ‘I am completely self-aware.’ Self-awareness can slip away if you don’t keep an eye on it. However, this is a gift because you’ll continue to learn about yourself. 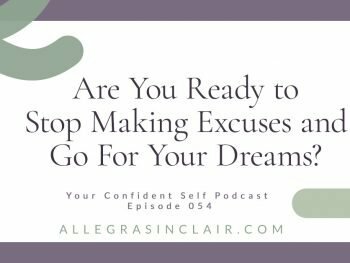 If you’re goal oriented, this is something you’ll learn to manage. 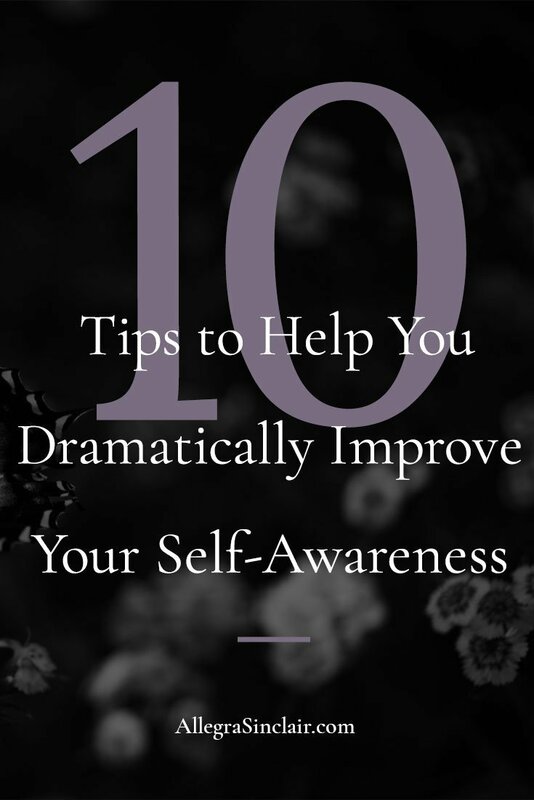 Here are 10 tips on how you can improve your self-awareness. Journaling is one of the best ways to become more self-aware. Remember when we used to call journals diaries? There are different approaches to journaling. You can sit down and perform a brain dump, pouring out your thoughts, feelings, and ideas on any particular day. Journaling is a way to better understand your thoughts, feelings, values, and emotions. You can learn more about who you are and what you want. Journaling forces you to sit quietly, listen to your thoughts and really become aware of them. And journaling is an easy habit to adopt. It’s very simple to journal first thing in the morning or last thing at night before you go to bed. You can journal in a notebook or on your computer, or both. If you’re not sure how you’re perceived by others, consider watching yourself on video. You can watch family videos or videos of you taken by friends. You can ask a friend or an associate to ask you questions and interview you on camera. You can also answer the same questions you might answer in your journal and record your answers. Watching yourself on video and listening to your voice, tone, and responses can help you learn more about yourself. Observe whether you appear as confident as you feel or how well you seem to believe what you’re saying. You can get some insight into how others see and hear you. You can get an external view of how you show up and decide if the image you portray is the one that you intend. When you have a strong emotional reaction to a person, place, or event, try to take time to step back from the situation and figure out why. What caused the emotional reaction? What can you do differently? How can you take responsibility for your emotional response and how can you affect the situation? You can’t control people, places, or events, but you can control your responses to them. Meditation is the ultimate practice of self-awareness. When you meditate you slow your mind down so that you can clear your thoughts, ideas, and emotions. Meditation is the place where you can find your true nature. You have to sit in quiet and become comfortable with it. Being silent and slowing down is really hard to do in the beginning. And the more you meditate, the more you improve your self-awareness. Meditation is easy enough to add to your life. You can start by meditating five minutes a day and gradually increase your time. If you need extra support with this, try one of the popular meditation apps like Calm or Headspace. Start setting goals for yourself. Decide what you want from your life and create a plan to pursue those goals. Build in assessments to make sure you’re making progress and you will naturally begin to improve your self-awareness. This process works because self-improvement and goal setting are impossible without self-awareness. You’ll have better luck if you choose goals that are right for you. However, if they’re not right for you, you’ll see this when you assess your successes and failures. Take a look at your personal and professional relationships. What’s working? What isn’t? What relationships do you prioritize and why? How do the people in your life make you feel? Examining your relationships can help you see how you value yourself. You can improve you self-awareness by looking at the value you place on your relationships and the people in your life. You can also learn a bit about your communication style. What do you believe and why do you believe it? As we grow up we form beliefs along the way. Many of those beliefs we take for granted and never question them. Your beliefs form who you are. For example, if you grew up believing that only the rich get richer, that belief may be controlling your behavior today. The belief about wealth can impact your career, the work you do, where you live, how you live, etc. 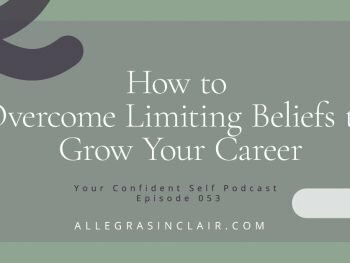 Examining whether that belief is really true can help you alter your future if you want to. If you wanted to, you could probably take a different personality test every day for a year. There are hundreds of them! Most of them are ineffective and not particularly helpful. However, there are a handful of quality personality tests that can help you improve your self-awareness by learning more about your values, strengths and weaknesses. These tests are not a substitute for your own internal awareness and instincts. However, they can be a useful tool to begin to discover more about yourself. The three big tests to consider taking include the Myers Briggs test, the Energy Leadership Index, and the Gallup Strengths Finder. Set a few alarms on your watch or phone, to go off several times a day. When an alarm goes off, check your thoughts. What were you thinking about? What led to those thoughts? What emotional and physical reaction did you have to your thoughts? Were the thoughts positive or negative? Did they support you or tear you down? Every day you have millions of thoughts. Most of those thoughts are likely mental chatter. Your mind jumps from thought to thought. One minute you’re thinking about getting to work on time and the next minute you’re thinking about the car behind you that’s tailgating, then you’re on to thinking about that co-worker that you had an awkward conversation with and how they must have thought you were weird. When you become aware of your thoughts and you begin to train yourself to notice them, you can begin to control them. You can focus on what’s important in the moment and not worry about things beyond your control. This is the first step to training yourself to become more aware of your thoughts. You can then assess them and decide if they’re supportive and productive. Who do you appreciate and admire? It can be someone in your life, such as a friend or co-worker. It can also be a leader in your industry or career. For example, you might admire Ellen Degeneres or Melinda Gates. Ask yourself why you admire this person. Why do you feel connected to them? What qualities do they have that you’d like to possess? You can use this exercise to create a vision and a plan for your future that supports you. It helps you decide what success means to you. This exercise also helps you see what you value and what motivates you. You can then begin to map your future based on your current state of self-awareness. Self-awareness is something to work on every day. You’re not a static being; over time you change, grow and evolve, and it’s important to stay in touch with who you are and what you want at each stage. Your plans for your future and your needs will change as you experience life. 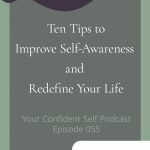 Being able to begin improving your self-awareness right now will help you lead a happier and more satisfying life. You’ll build a personal and professional life that is uniquely right for you.